GRANT SUPPORT: Meklit’s work has been supported by grants from National Geographic, The Center for Cultural Innovation, MAP Fund, the San Francisco Arts Commission, the Oakland Cultural Funding Project, the Belle Foundation for Cultural Development, Zellerbach Family Foundation and many more. Meklit has joined the Board of Directors of Yerba Buena Center for the Arts, one of the Bay Area's most experimental yet grassroots large arts institutions. Meklit has worked with YBCA since 2008, when she co-curated the Red Poppy Art House exhibition for BAN5 in the Room for Big Ideas. She also deepened and continued her relationship with YBCA through 2014's Home [Away From] Home Project (see below). Meklit is thrilled to be a part of the stewardship of this incredible cultural organization. Meklit is an ambassador for Brighter Sound Manchester's Both Sides Now project, an initiative supporting the development of women songwriters across the UK. In 2015 and 2016, Meklit served as Artistic Director of two residencies for Brighter Sound, bringing young people from Manchester, England together in collaborative songwriting processes exploring place, musicianship, and global identity. In the most recent residency, 31 young people came together to create a song-cycle to their city. The final performance took place at the BBC Philharmonic concert hall, supported by string players from both the BBC Philharmonic and Manchester Camerata. Originally called This Was Made Here and now called When The People Move, the Music Moves Too, is a new body of music composed by singer, musician, and cultural activist Meklit. Born in Ethiopia, raised in Brooklyn and based for a decade in San Francisco, Ethiopian traditional songs, Jazz and the songwriter tradition are marks of Meklit's sonic homelands. Taking these core elements as foundational building blocks, she sonically explores the cultural re-imagination happening as part of the arrival of the Ethiopian Diaspora en masse to North America. Working with rhythm, melody, the female chorus, approaches to poetry and lyric, as well as structural elements of composition, each song will highlight distinct cultural markers as jumping off points. Deeply inspired by Mulatu Astatke, the Godfather of Ethio-Jazz, the work builds upon the concepts pioneered by Astatke as part of the late 1960s and early 1970s Golden Age of Ethiopian music. At the same time, the music is steeped in 21st century North America, where deeply fluid immigrant generations are the norm. The work invites a closer look into the quandary of identity, recognizing the impossibility of answering the question, "What parts of you are Ethiopian and what parts of you are American?" Meklit was commissioned by Lincoln Center for the Performing Arts in April of 2016 to compose There Is No Sound Barrier, a body of music inspired by the concept of the musically alive world, as described in her 2015 TED Talk. The work will debut in San Francisco and New York in 2019. The Nile Project was founded in August 2011 by Ethiopian-American singer Meklit and Egyptian ethnomusicologist Mina Girgis to address the Nile basin’s cultural and environmental challenges using an innovative approach that combines music, education and an enterprise platform. 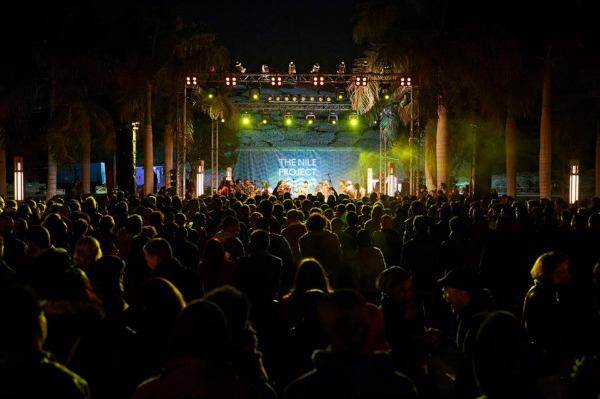 The Nile Project curates collaborations among musicians from the 11 Nile countries to expose audiences to the cultures of their river neighbors. These musical experiences foster cross-cultural empathy and inspire environmental curiosity to shift the Nile from a divisive geopolitical argument to a uniting East-African conversation. In partnership with local universities, interactive workshops and free online courses educate students and help them discover their unique roles in creating a more sustainable Nile Basin. Meklit served as a Panelist for the National Endowment for the Arts 2014 cycle, evaluating grant applications in the category of Presenting and Multidisciplinary works. Meklit was selected to attend the 2014 RPM Artist Lab in Kentucky. RPM is an org originally founded by the members and management teams of REM, the Beasties Boys and Pearl Jam, which supports the power of artists and musicians to affect positive social change. Home [Away From] Home is an experimental art installation featuring artists in the Ethiopian and Eritrean communities of the Bay Area, culminating in a weekend-long festival of visual arts, music, dance, poetry, & food, around next year's Eritrean and Ethiopian New Year (Sept 11, 2014). The project serves as a metaphor for African immigrants in the diaspora trying to build a home in America while maintaining and sharing their cultural identity in the USA. With a respect for the unique histories of the Ethiopian and Eritrean peoples, we intend to highlight the art, music, and culture that brings immigrants from these two communities together while exploring the theme of “Home (Away From) Home”. 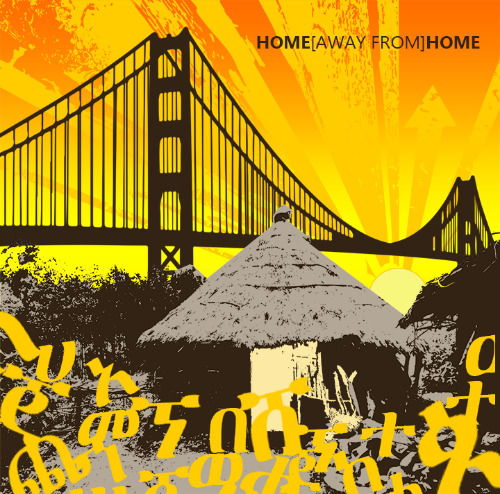 Home [away from] Home is the brain child of Ethiopian American singer Meklit Hadero, Eritrean American filmmaker Sephora Woldu, and Ethiopian American musician Ellias Fullmore. The project is supported by YBCA In Community, a new initiative created by Yerba Buena Center for the Arts (YBCA). Meklit was an Artist Consultant for the Association of Performing Arts Presenters (APAP) in 2011. She worked with the organization to co-develop their artist fellowship program and develop ways to integrate the artist voice more deeply into the APAP annual conference, the largest gathering of performing arts presenters in the world. Meklit was part of the Institute of African American Affairs' spring 2011 artist-in-residence program, The African Diaspora And/In the World. During the residency, she created a collaboration between NYU and the David Rubenstein Atrium at Lincoln Center, curating the series Resonate: African America in Sound and Story. Meklit is a member of the de Young Museum inaugural Artist Council, and is currently curating performances inside of their James Turrell skyspace, Three Gems. Meklit is deeply passionate about the work of Turrell and she has been inspired by Three Gems for years. Her song Walk Up, featured on Meklit's debut album On A Day Like This, was directly written inspired it. In June of 2009, Meklit was an artists-in-residence at the De Young Musem. Meklit was commissioned by the Brava Theater and Director Raelle Myrick-Hodges to compose music and design sound for the world premier production of Brian Thorstensen’s play, Over the Mountain. Meklit is the former Co-Director of the Red Poppy Art House, having served in this role from 2006-2008. Mission: The Red Poppy Art House is a neighborhood center for the intersection of cultural and inter-generational artistic engagement located in the heart of San Francisco’s Mission District. The Poppy is an artist-driven organization that seeks to empower and transform society by addressing current social issues that impact our community and society at large through creative processes. Operating from a neighborhood storefront in San Francisco’s Mission District, the RPAH demonstrates the unique, powerful and irreplaceable capacity of intimate community spaces through hosting over 150 diverse performances, exhibitions, workshops, and artist residencies annually.